My older brother has Cerebral Palsy. He cannot talk nor walk, but he is the strongest person I know. I have grown up basking in his light, understanding how there are people out there who have disabilities, who may look, talk or act differently than me, but who still deserve to be treated just like every other person. I have learned that not everyone has been taught this lesson. I have witnessed people making jokes or pointing at my brother or those with a disability. I have seen the disregard in the media to people with disabilities, and I have seen the ignorance firsthand. After a lot of sadness and praying about the lack of humanity I have witnessed, I realized that these people were just unaware and may be uneducated when it comes to disabilities. Instead of retaliating in anger or sadness to these occurrences of ignorance, I have realized my brother would want me to fight it with spreading compassion and kindness and to teach these people about disabilities. 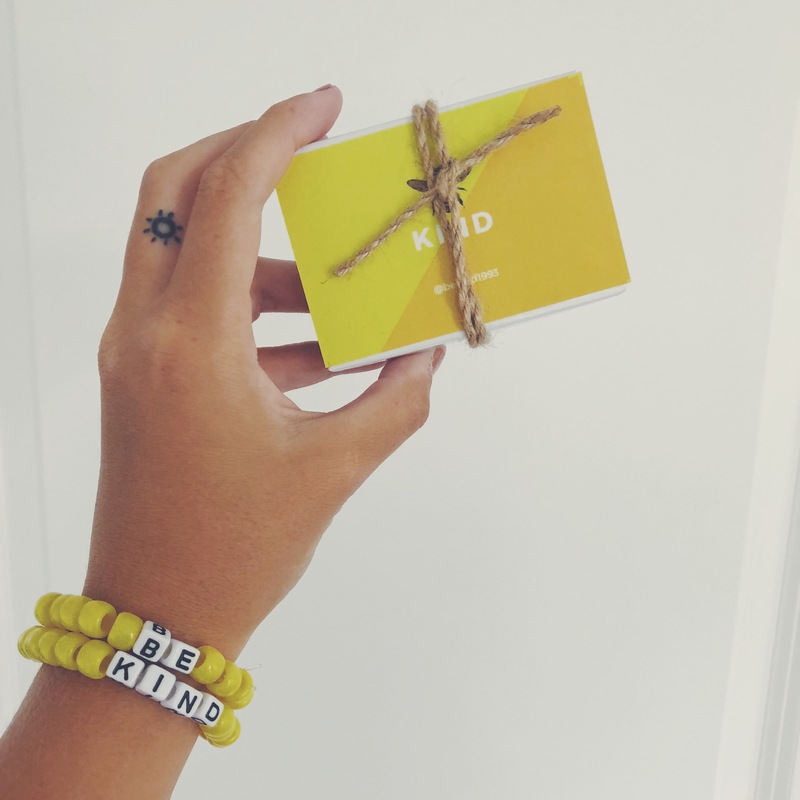 I have started an Instagram two months ago called be KIND where I sell my bracelets that hold that same message. It was started because my older brother has cerebral palsy, and growing up seeing some of the ignorance and mean glares, I wanted to share his story and spread his light. The Instagram is devoted to being a place of spreading positivity, light, kindness and inspiration through my posts, stories and bracelets. Every month, I have been spotlighting different organizations or people who I think are amazing representations of light and inspiration. My bracelets are sold through Etsy for $10 each, which 70% of overall proceeds going towards the donation spotlight. I am trying to spread the message even further by going into classrooms and sharing my story with kids and how they can be kind to everyone no matter what they look like, act, or behave. I am always open to ideas and suggestions on how to improve!